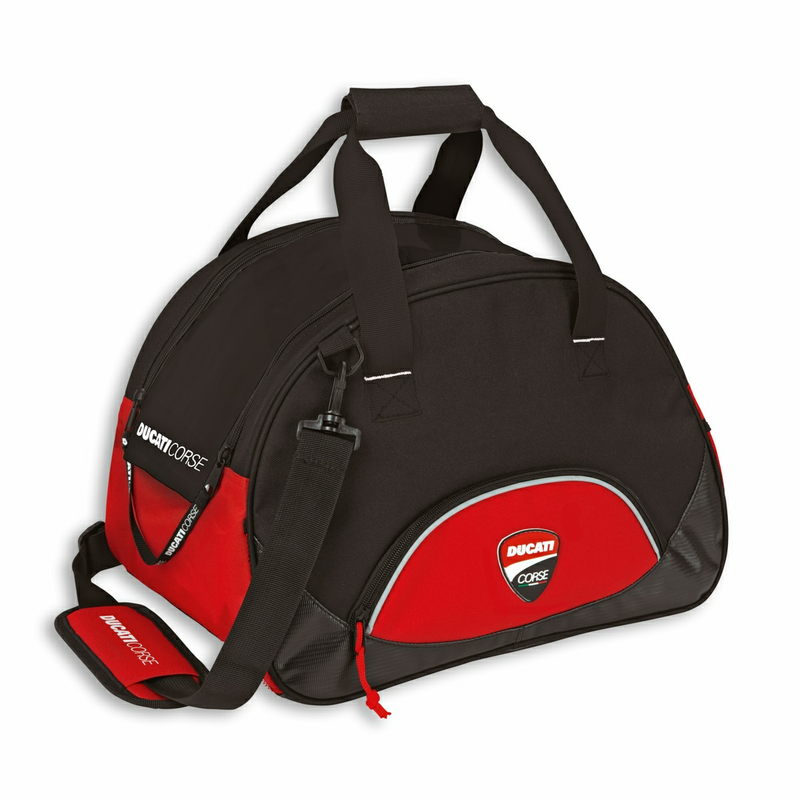 Practical and functional, the Ducati Corse helmet bag is ideal for daily use or for trips out on the bike. 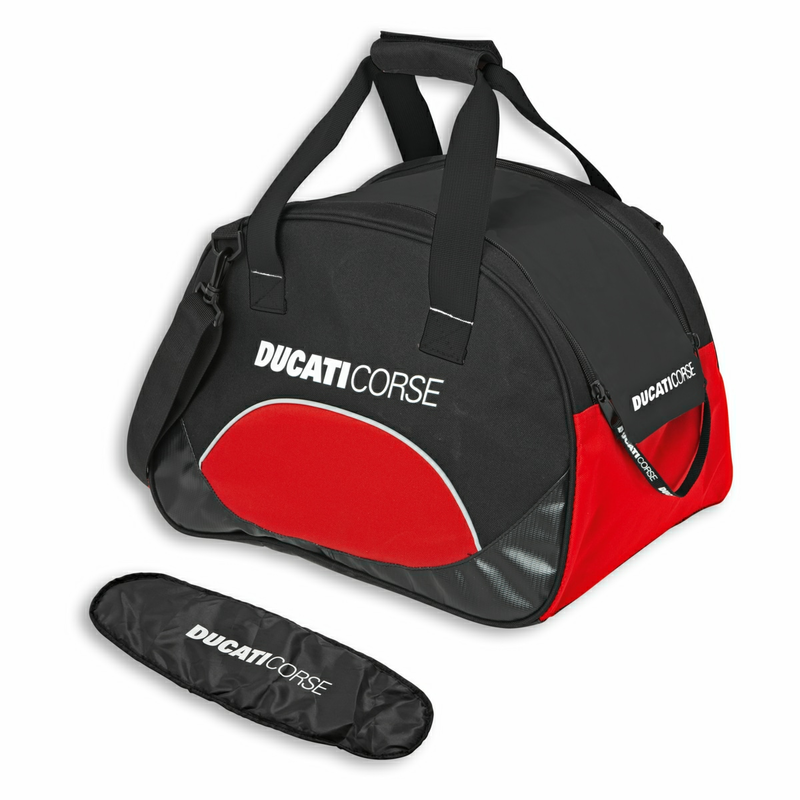 With a double zip to facilitate easy access to your helmet and a practical outside pocket, it's made from typical Ducati racing colours (white, red and black) and characterised by the rubber (PVC) Ducati Corse logo. The inner liner is made from scratch-resistant fabric and there's also a practical visor holder. Dimensions: 42x28x28 cm. Material: 100% polyester; the parts that are subject to the most wear and tear are made from tarpaulin, an extremely resistant waxed fabric.